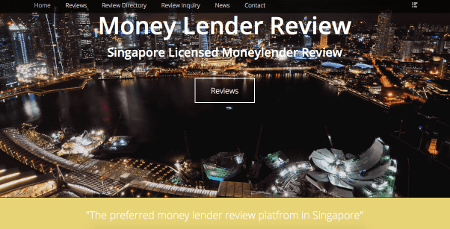 We are a professional and fully licensed money lending company based in Singapore. We have been rapidly been recognized in the moneylenders industry as a dependabled licensed money lender. With our professional andfriendly staffs, we are dedicated to serve all your enquiries and by offering you a quick approval (same day approval) loanwith a very affordable rates. We aim to be the pioneer in licensed moneylender industrythrough high quality customer service and lasting alliance with our customers as we lighten all our customers financial blues in Singapore.Our objective is to offer personal financial services of a superior quality to our customers from all walks oflife. We wish to be the top financialinstitution of our customers through the use of automation and technology to support ahighly trained group of staff. When you get a loan from us, you obtain fast, confidential service, a smooth process, cash on the spot and the benefits and safety of borrowing from a licensed money lender.Our loanassistants can help and get your loans permitted within the hour andwith minimum processing postponement. Don’t forget to bring along the necessary documents such as your NRIC/FIN card, Payslip, etc. We comprised of a core team ofprofessionals that offer loans to suit to allyour needs. Apply a loan orcall with us now for a non-obligation discussion on gettingyour loan application. Do you wish you could get fast access to a loanfor your education loan abroad? Regardless if youneed a big sum of money for college fees or to invest in an asset or smaller sums for emergencies arising such as renovations, fast cash or foreigner loans, we are your go-to lender in Singapore.Our Loan assistants are friendly and knowledgeable in thefield of money lending and will be able to advise you how to go about getting your loan.